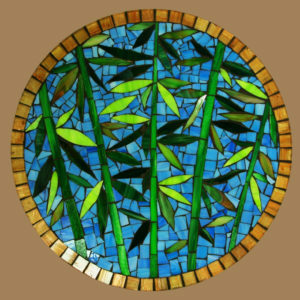 Newly featured a round mosaic tray on beautiful acacia wood. 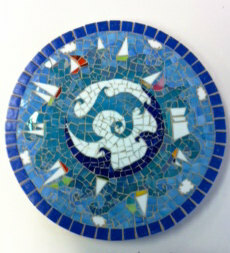 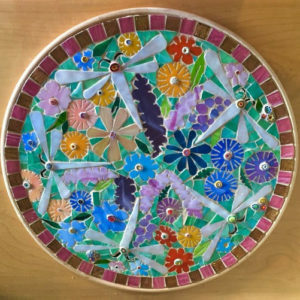 This tray measures 16 inches in diameter and is a handmade, one of a kind piece. 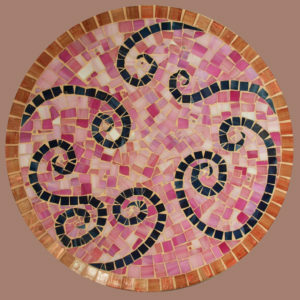 Each glass piece in hand cut-and hand-shaped. 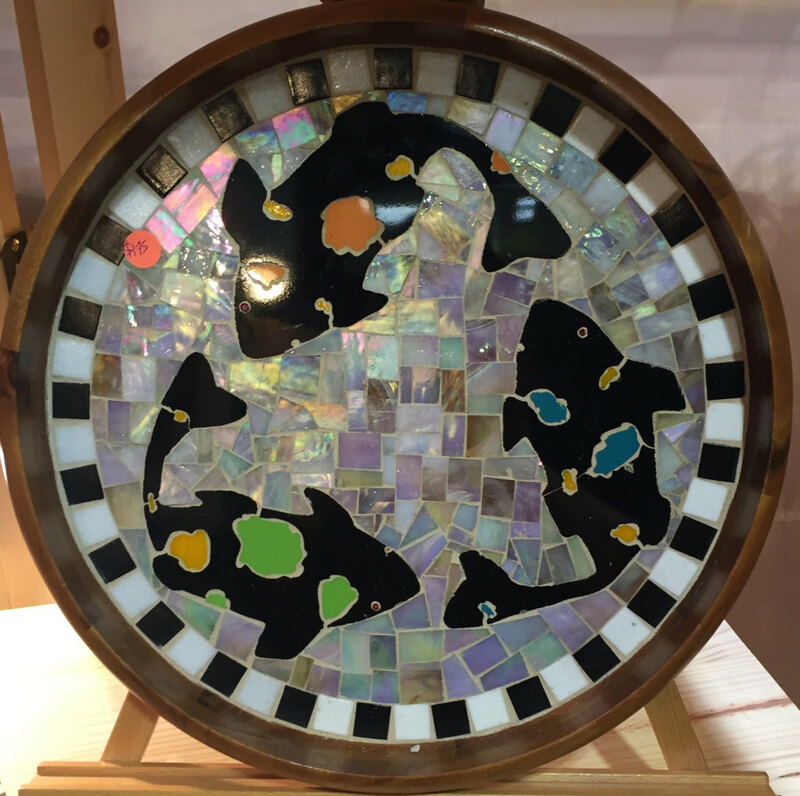 This piece is both functional and decorative.